By carefully observing their team members, leaders can learn a lot. 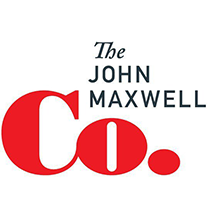 John Maxwell shares the three situations in which a person's true attitude is likely to surface. Leaders are readers of people. They study a person like they would a book, by paying careful attention to words. If you listen careful to the words someone says, you will learn a lot about that person. Specifically, you’ll discover the person’s attitude toward life, which reveals his or her gratitude for life. A positive attitude can be a person’s greatest asset. In fact, an upbeat attitude can take people to places that their ability could never carry them on its own. Attitude acts like a booster rocket, lifting people to a higher altitude than they could otherwise climb. Oftentimes, motivational speakers present attitude like a magic tonic or cure-all for every ailment, but attitude isn’t everything. Some people have awesome attitudes and yet are awfully incompetent. While attitude alone won’t guarantee success, attitude is a difference-maker. All else being equal, attitude gives an advantage or edge over the competition. Therefore, whenever you have a choice to make between two business partners, vendors, or job candidates with similar credentials, pick the one with the better attitude. A person’s attitude is more apparent in some conditions than in others. Here are three situations in which a person’s true attitude is likely to surface. A gray, rainy day reveals a lot about a person’s attitude by showing how they respond to negative emotions. In the face of difficult feelings, some people are like tumbleweed tossed about by the wind; they go whichever way their emotions blow them. Positive people are not controlled by atmosphere but by their attitude. It provides a rootedness that prevents them from being susceptible to fluctuating moods. Whiners want to feel good before acting; winners do what’s right regardless of how they feel and then experience positive emotions as a result of their actions. It’s said that the devil is in the details, and some people behave like devils when they have to deal with the less-than-thrilling aspects of their jobs. Every occupation has its inglorious tasks, and how a leader handles them says a lot about her attitude. The more a person complains, the less he’ll attain. Conversely, by approaching even minor responsibilities with positivity and a sense of purpose, a person sets himself up for success. People either shrink from adversity or rise to meet it—largely on account of their attitude toward life. Thankfulness shines brightest during tribulation. Saint Paul exhorted his readers to “rejoice always” and to “give thanks in all circumstances.” When we encounter adversity, we can counter anxiety with appreciativeness. When we are grateful, fear disappears and faith appears.